J.D. Sport features the latest technology in custom embroidery, including digitizing utilizing high-tech software and design tools. Our embroidery service provides custom design solutions for corporate apparel, team sports, monogramming and personalization. We offer a multitude of lettering services including tackle twill and appliqué for all styles of apparel, sportswear and accessories. Please call J.D. 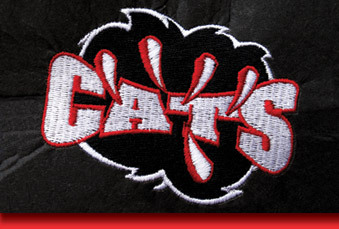 Sport to talk to our experienced staff to assist you with all of your embroidery and lettering needs.